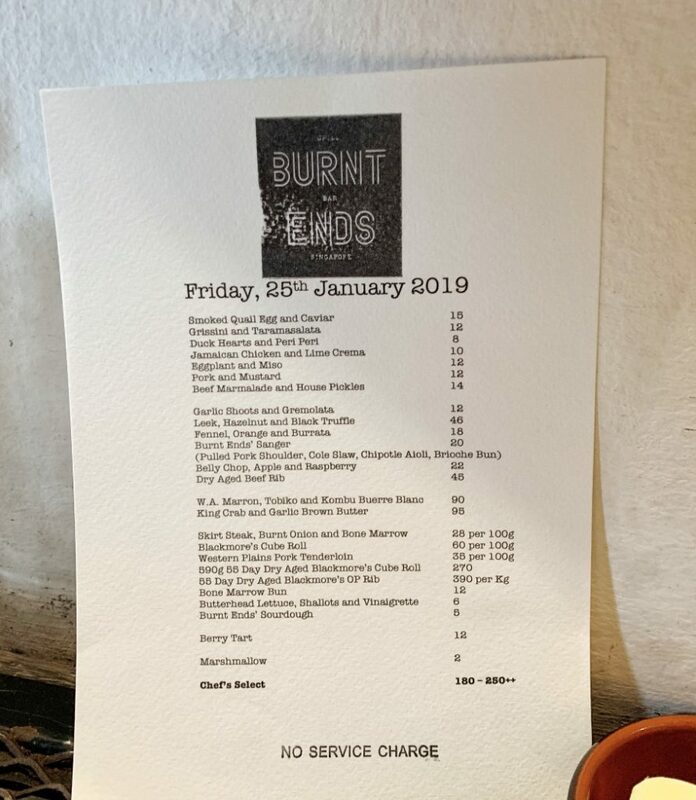 In late 2017, I was invited for dinner at Burnt Ends. A friend managed to get seats at this “super hot” establishment (apparently seats were impossible to get), but unfortunately, I couldn’t make the time slot. Last December, curiosity got the better of me and I visited the Burnt Ends reservations page to see how many days (or months) I had to wait for a table. 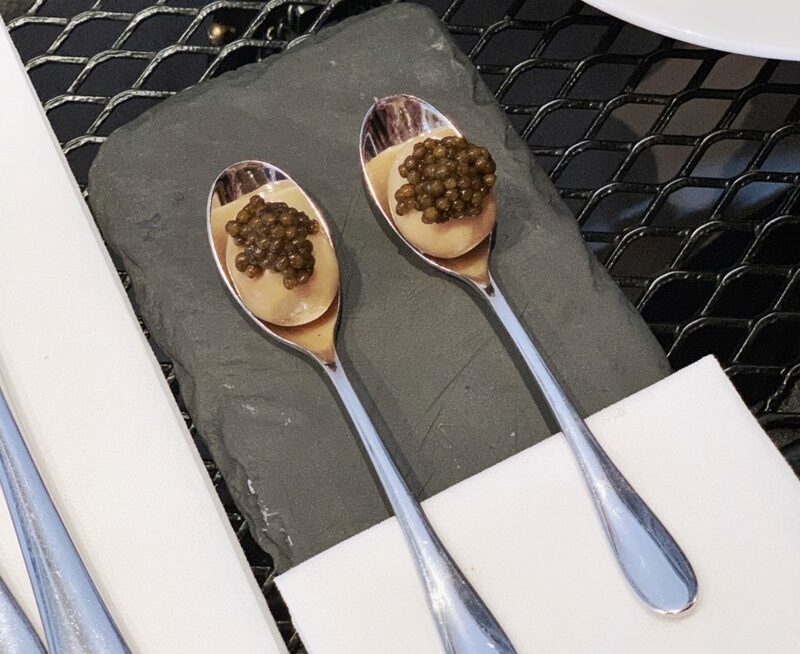 There were 2 seats available on Friday 25th Jan for lunch, so I placed my credit card down and reserved those final seats (yes, you need to input your credit card details to secure a reservation). 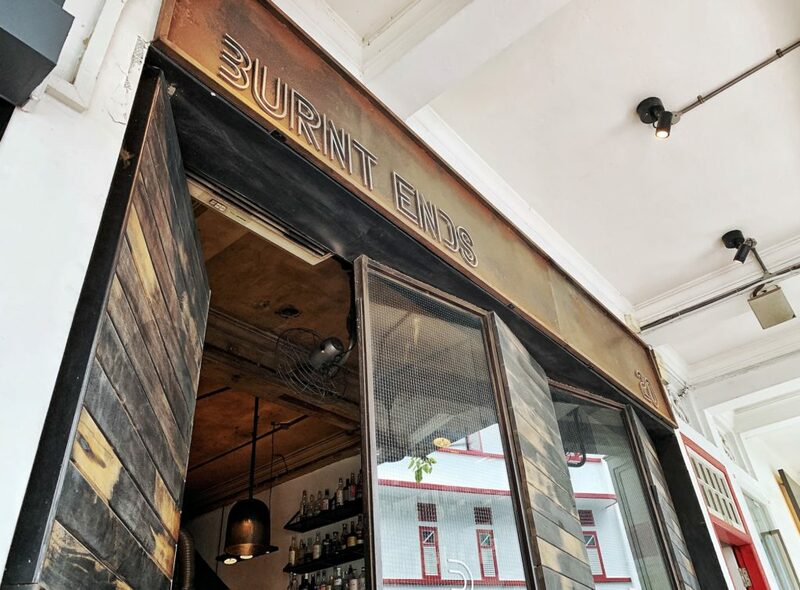 Burnt Ends is located along Teck Lim Road, in the heart of Chinatown. Traffic to the area around lunch time was terrible, and finding a parking lot was even worse. I ended up parking at Dorsett Hotel, and took a short cut through the back of a nasi padang eatery to get to the restaurant. 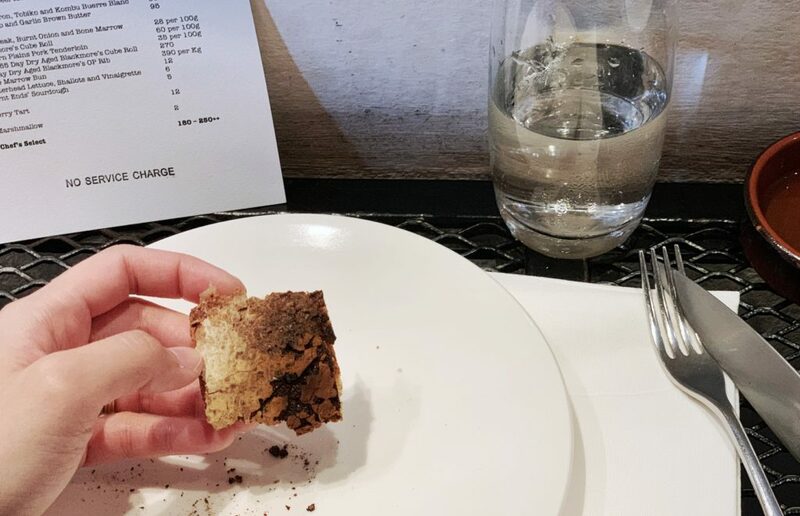 Because of heavy traffic, I ended up being around 20 minutes late for my 12.30pm lunch appointment; but the restaurant called to confirm my reservation, and said that they would hold the seats for me (thank you Burnt Ends). We had bar seats and faced the wall. 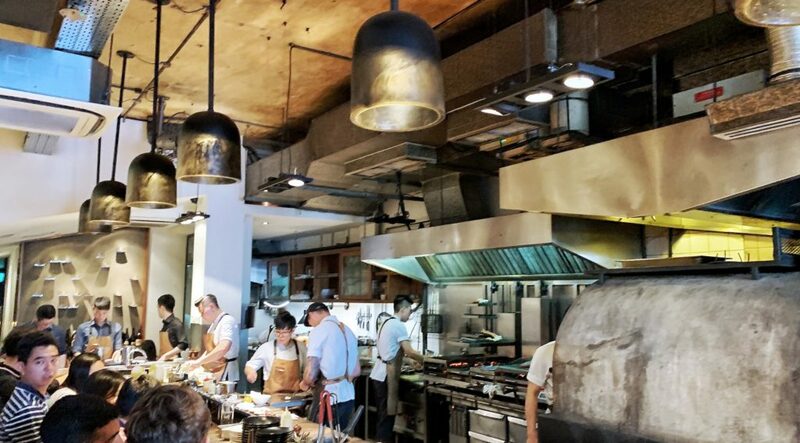 Ideally, you would want counter seats in front of the chefs and kitchen; but then you’d have to make a booking months in advance (the last I checked, the next available counter seats for two are for dinner on 25th April). 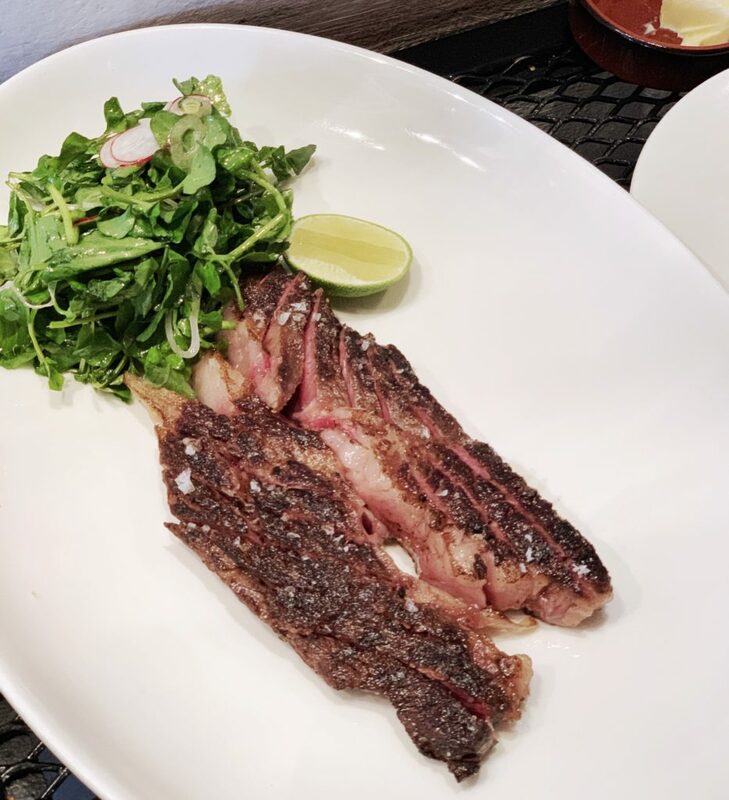 The waiter recommended the Blackmore’s Cube Roll, a Wagyu beef, over the Skirt Steak that we were initially going to order (note the big price difference…). We ended up with three appetisers, beef for our mains, and some bread. Here are the pictures. I just ate a $7.50 egg. It was smoky, and it was beautiful. Absolutely delicious and flavourful. But very expensive. Long, flat and good for sharing. Rather salty because of the cod row. If you don’t like chives, you won’t like this (obviously), but I thought it was very tasty and I’d definitely order it again. The sourdough is soft in the centre, crisp on the outside. 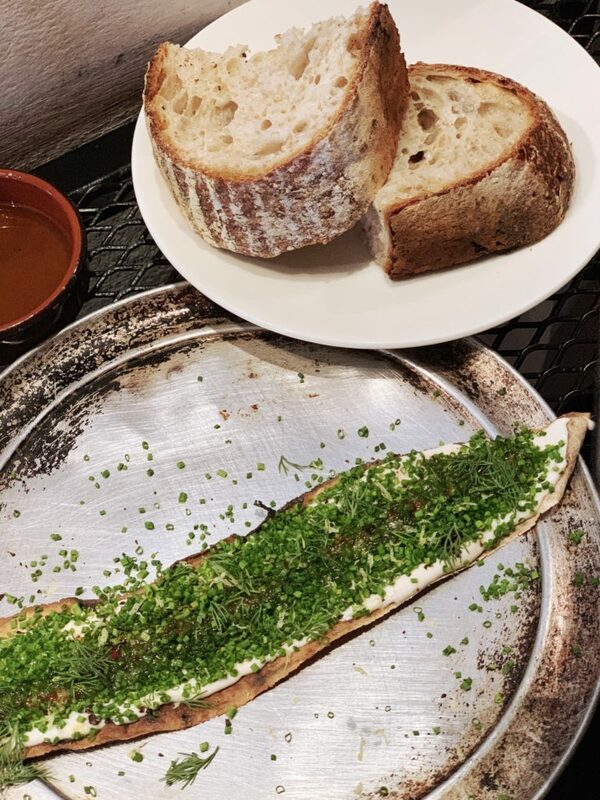 It’s baked fresh at the restaurant and is as good as it comes for sourdough. Some of the ends were burnt. Yes, I went there. Chewy. My date loved it but I’m not into hearts. She says that it’s a little bit gamey, but not overly so. There’s a bitter tang to the seasoning as well, which offsets the gamey-ness of the duck. We shared a 200g ribeye. The waiter brought it out to show us before they cooked it. I went straight for a piece of fat, and the taste exploded in my mouth! There are some chewy sinewy bits to avoid, but overall the fats have a soft, melty texture. 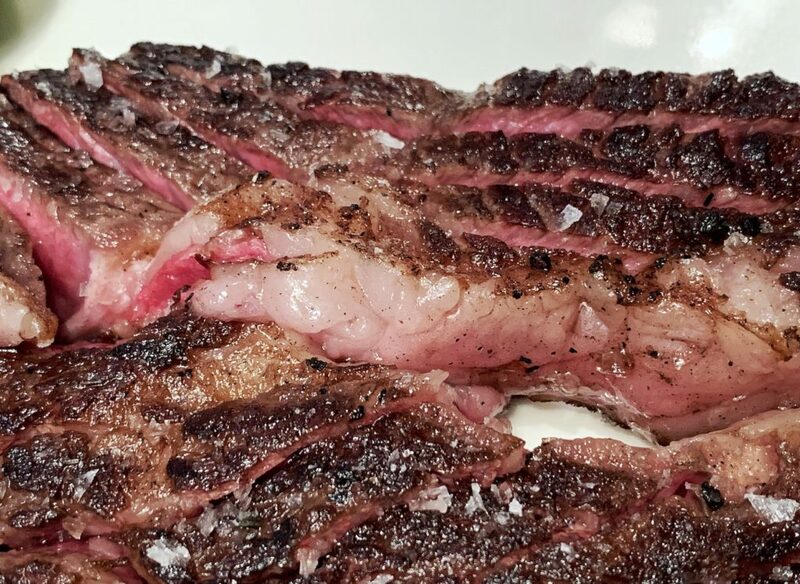 The meat was tender and the medium-rare doneness was just nice. 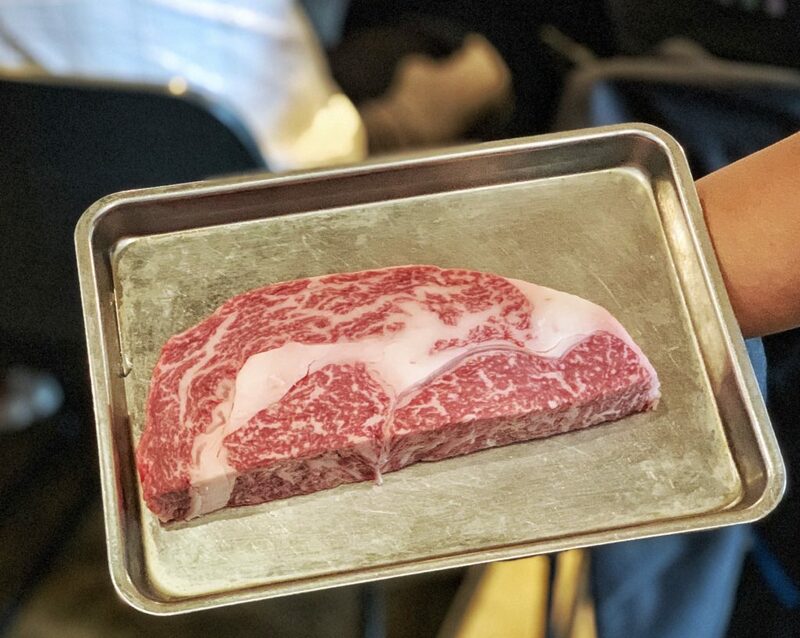 This is the best steak I’ve had this year (although the year just started). 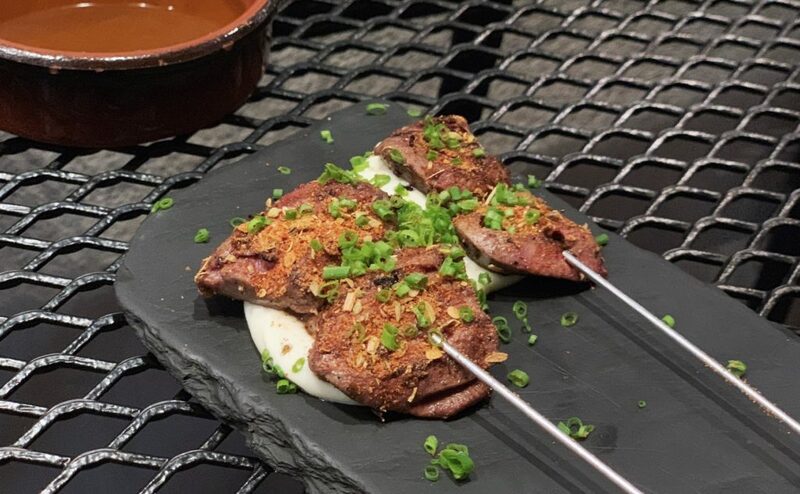 The chef kept the seasoning simple with just a sprinkling of salt and pepper, which was all that was needed to bring out the flavour of the meat; and the refreshing watercress salad cleaned the palate between bites. Although after the fourth piece of steak, I started feeling jelat and needed to stop. I could have done with 50-80g by myself. Anymore and I would feel sick. My friend exclaimed “Oh! Exceed expectations. The biscuit 好吃到!” And it’s true! The biscuit base was very pang. The sweet and sour of the berries also nicely reverses the jelat-ness of the beef. 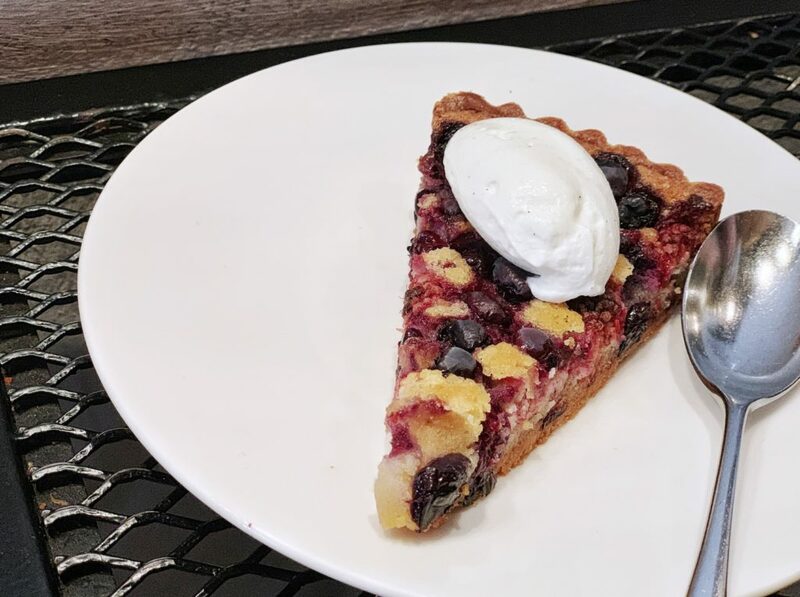 I highly recommend the Berry Tart. 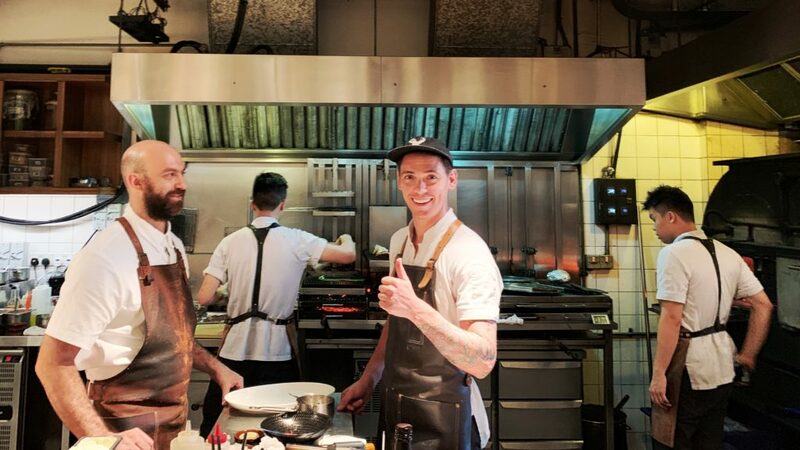 The service at Burnt Ends was good, and the chefs didn’t mind me taking their picture. 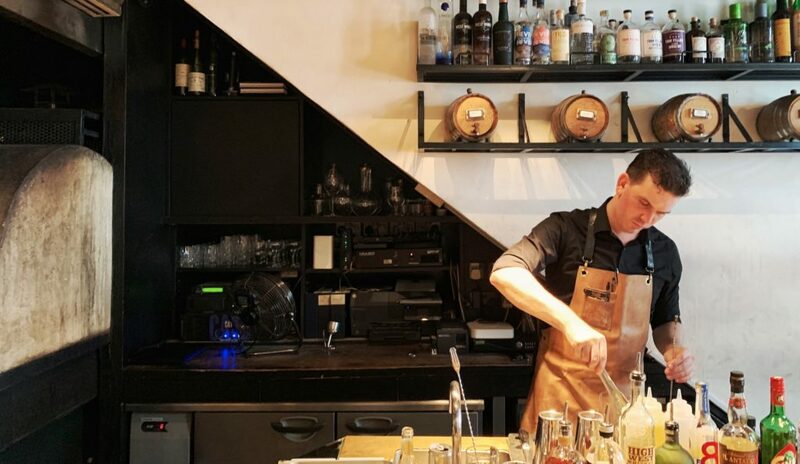 There’s a full bar at the entrance as well if you feel like a cocktail. The food was very good, although parts of the beef had those sinewy bits that get stuck in the teeth. I just ate around them. Be prepared to smell of an oily kitchen when you leave the restaurant. In such a small, enclosed space, it’s inevitable that the grease will get in your hair and stick to your clothes. I felt unnaturally uncomfortable for the rest of the day because of the smell on me, and couldn’t wait to get home to shower. And really because of this, I’d return to Burnt Ends for dinner at the end of a day, instead of lunch where I have to return to the office. 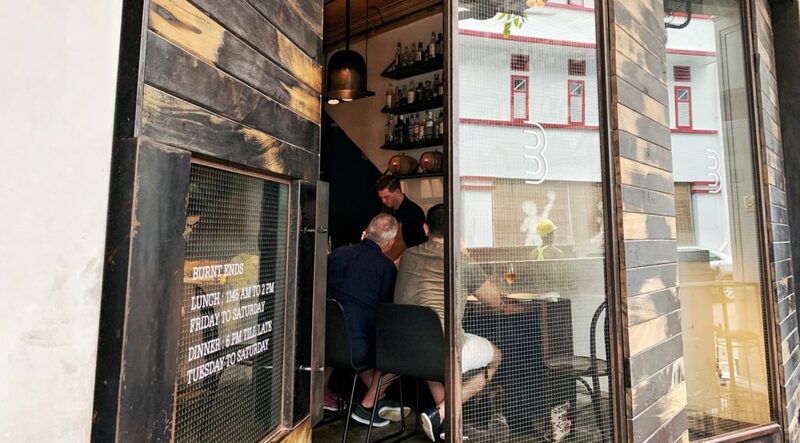 Burnt Ends is located at 20 Teck Lim Road. Click here for reservations. All photos shot on iPhone XS Max.